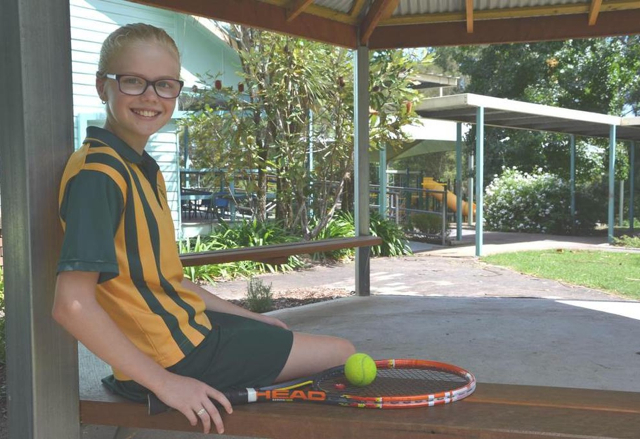 Young tennis sensation Charlotte Standing will compete in the State titles in Sydney at the end of next month. The 11 year old Stroud Public student was nominated by the school to attend the zone competition earlier in the year. She was the first player selected in the zone team and then went on to the regional carnival last month where she was selected to go to State. “I don’t know if I will be playing singles or doubles, the team manager will decide when we get down to Sydney,” the year 6 student said. Charlotte has private coaching in Clarence Town on Monday afternoons and then a group lesson at Raymond Terrace on Thursdays. There will be players from Catholic, State and independent school at the April competition.